NORTH BAY, Ont. 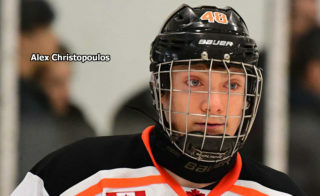 — The North Bay Battalion selected defenceman Jacob Peterson-Galema of the North Bay Trappers midgets in the first round of the second annual Ontario Hockey League Under-18 Priority Selection on Wednesday night. 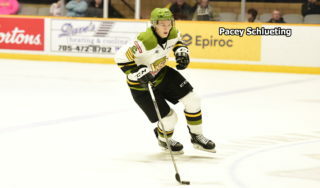 Peterson-Galema, a left shot taken ninth overall, was the first of three picks the Battalion made in the process, which drew on Canadians, as well as Americans from OHL-territory states, who played last season on midget AAA teams in the Ontario Hockey Federation, Hockey Eastern Ontario or Hockey Northwestern Ontario and who weren’t on the protected list of any Canadian Hockey League club, including those in the Quebec Major Junior Hockey League and Western Hockey League. 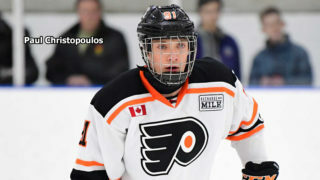 The Battalion also selected goaltender Cal Schell of the Burlington Eagles midgets in the second round, 29th overall, and right-shot centre Gabby Kioki of the Timmins Majors midgets in the third round at No. 46. 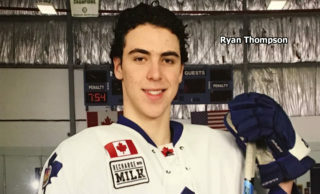 Peterson-Galema, a six-foot-one, 186-pound North Bay resident, scored 12 goals and added 41 assists for 53 points in 36 games in the Great North Midget League while drawing 10 minutes in penalties. He turns 17 on May 25. 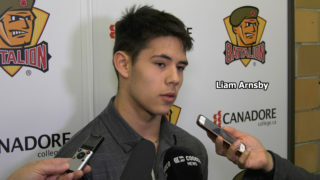 “We really liked Jacob’s upside,” said Matt Rabideau, an assistant general manager who oversaw Battalion selections. Schell, who turns 17 on Nov. 23, is a six-foot-two, 195-pound resident of Burlington, Ont. Kioki, a Sudbury product, is six-foot-one and 180 pounds. He marked his 17th birthday Feb. 13. 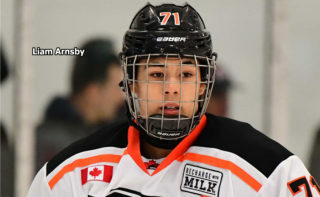 “Gabby’s a very good skater, great on the draws, put up decent numbers, 23 points in 36 games, and we love his work ethic, his physicality, and he was a fun hockey player to watch all year,” said Rabideau. The two-round process was conducted over the Internet in inverse order of the overall standings last season, with the four non-playoff clubs guaranteed the first four picks regardless of points. If a team took a goaltender, it had the option of making a third selection, which couldn’t be used on a goaltender. All clubs were required to make at least two picks, but none could make more than three. With the first overall pick, the Sudbury Wolves selected goaltender Mitchell Weeks of the North Central Predators. The 20 OHL clubs chose a total of 53 skaters and goaltenders. The Battalion, which selected 13 skaters and two goaltenders born in 2002 in the OHL Priority Selection on Saturday, is to hold its orientation camp May 26-27.